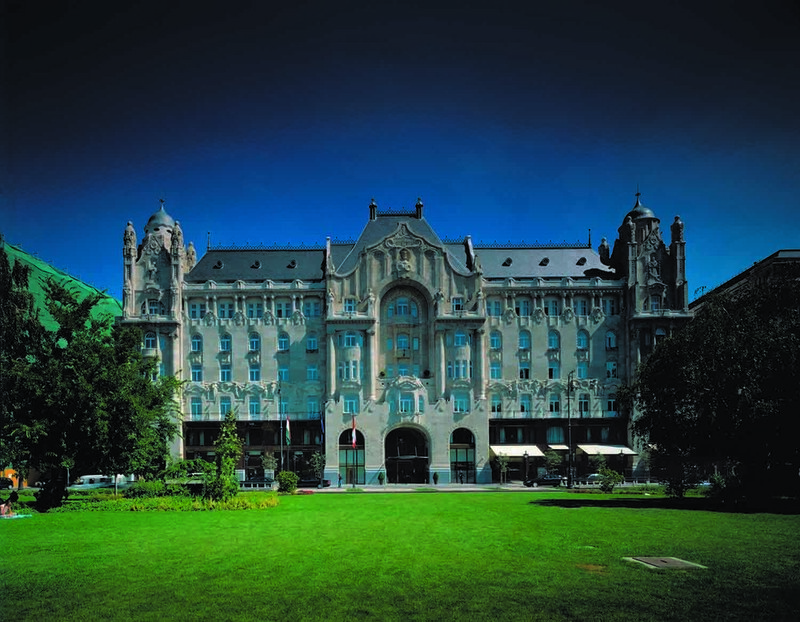 Four Seasons Hotel Gresham Palace Budapest in Hungary. 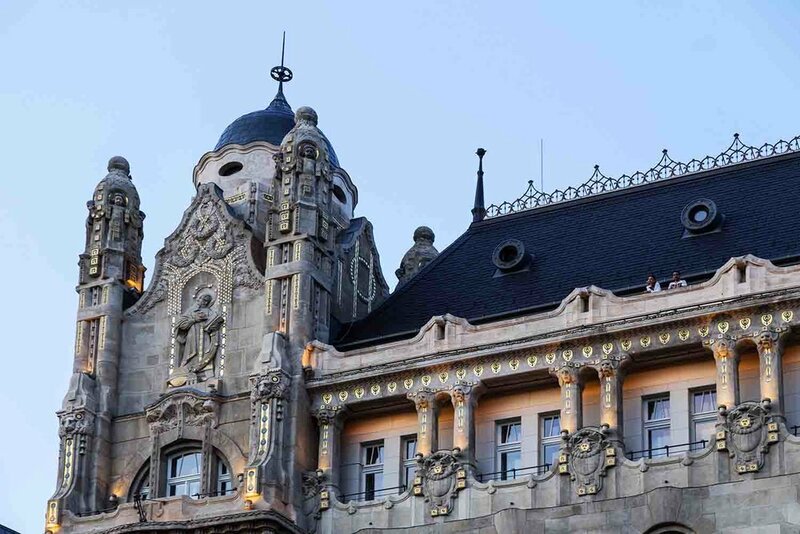 A 5-star luxury hotel, Four Seasons Hotel Gresham Palace Budapest is a landmark located along one the Danube, one of Europe’s most scenic rivers. 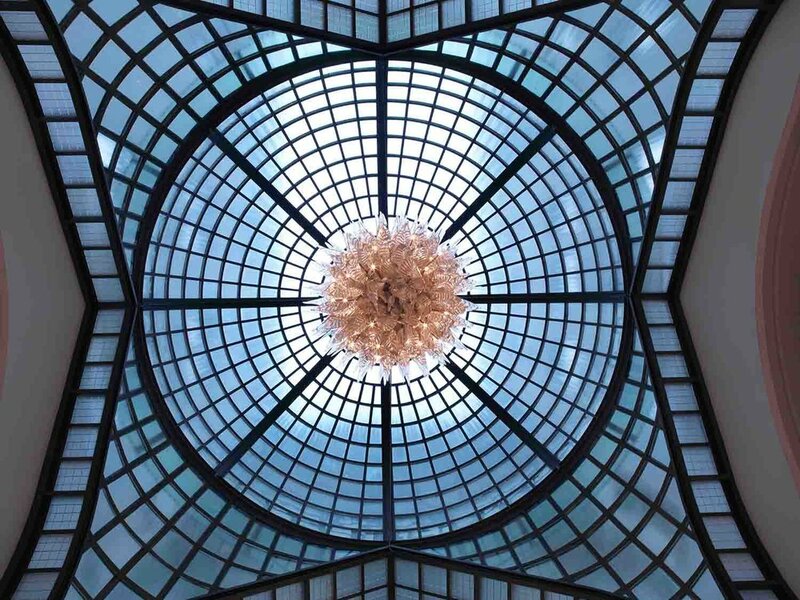 A lovingly restored palace, the hotel reflects the European city’s imperial grandeur with stunning decor, dramatic stairways, two million mosaic tiles, ornate chandeliers, and more. Why You’ll Love It: As our guests enter our spa located on the fifth floor of the Gresham Palace, they find the sight of our infinity-edge pool breathtaking, especially in the evenings. The white tiles in full contrast with the black marble floor always cause amazement. It’s not a traditional pool since it has salt water, therefore it provides a perfect place to unwind before and after a workout—or even better, a treatment. We also receive a lot of compliments on the location and the exclusivity. 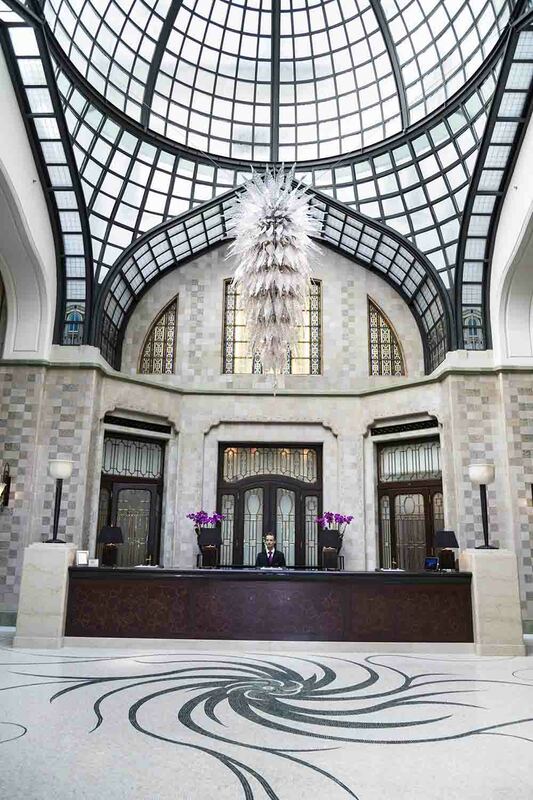 The stunning lobby and reception area of the hotel. Key Features: Our Spa offers a salt water pool, a Jacuzzi, a relaxation room, and a gym. There are also gender-restricted areas that include saunas, steam rooms, showers, and changing rooms. We strongly believe that our guests should put minimum effort into their relaxation; we provide everything they may need during their spa day, short only of a bathing suit: slippers, robes, shower amenities, etc. Bonus: All the guests that visit us are also entitled to use our gym, which is very well-equipped and has small, traditional round windows overlooking the Széchenyi Chain Bridge. When guests book a treatment with us, they can also enjoy all of our facilities. 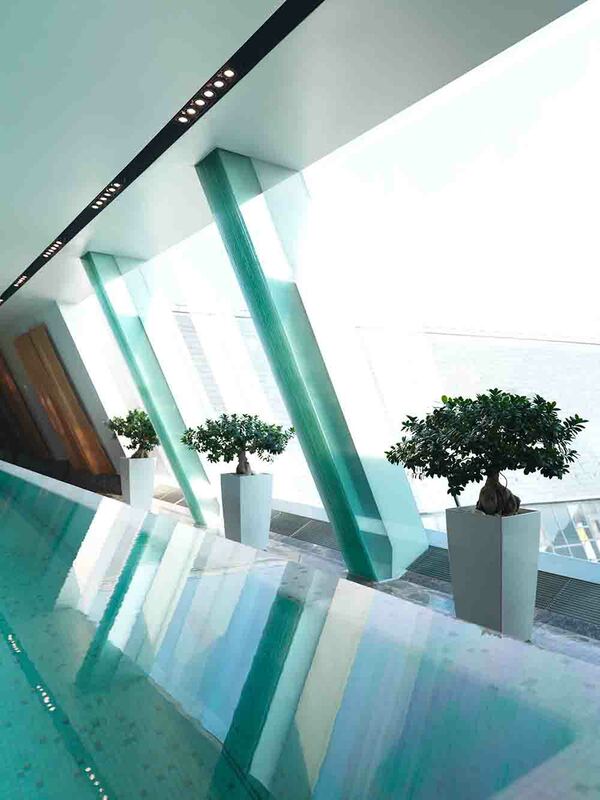 The Spa’s indoor infinity-edge salt water pool. Snacks Served: In the Spa you can always find a special selection of teas, as well as a different iced tea every day. We also offer infused water that changes according to the season. We believe in healthy snacks, so there is always a selection of fresh and dried fruits. Unique Treatment: Our most luxurious facial is the Blue Diamond Facial, which is exclusive to the Spa at the Four Seasons. This firming and brightening treatment uses a trio of revolutionary ingredients that work extraordinarily with Omorovicza’s exclusive Hydro Mineral Transference delivery system to restore the energy of skin cells, supercharge the tissues, and increase elasticity and smoothness. Diamond peptides promote DNA repair while other active ingredients accelerate the oxygenation, and promote the synthesis of collagen and elastin. Chilled Derm-A-Globes are used to soothe redness and tone skin to the deepest level. 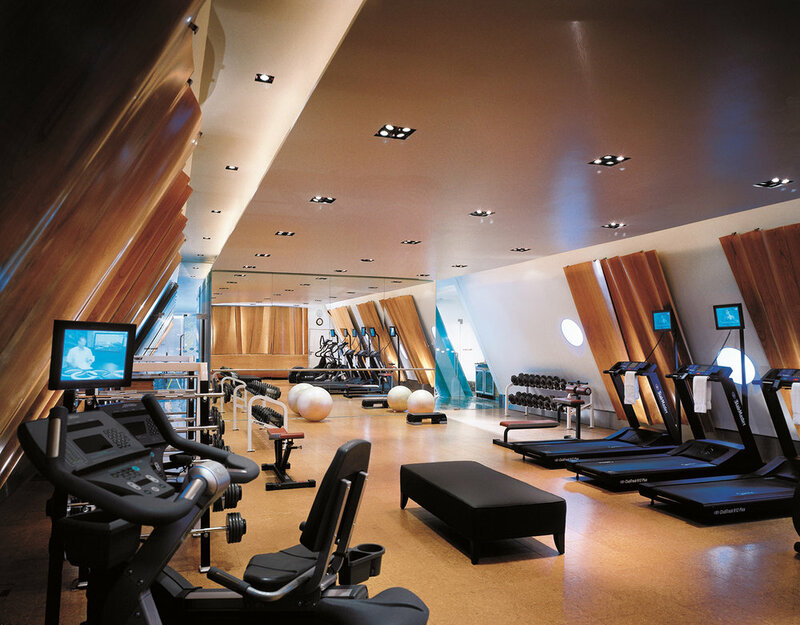 The gym at Four Seasons Hotel Gresham Palace Budapest. Splurge Treatment: Our most complete and luxurious treatment is the Hungarian Moor Mud Therapy by Omorovicza Cosmetics. Capturing the essential nature of the mineral-rich Hungarian Moor mud, this treatment is designed to allow you to experience its curative properties and transforming effects. It begins with a thermal mud that is applied to the face and body, which detoxifies and draws out impurities from deep within the cells. You'll re-emerge with a feeling of lightness and balance. To indulge in some more relaxation, the treatment continues with a short facial. The luxurious service is completed with a full-body, head and face massage that incorporates classic Hungarian techniques, which leave the skin lifted and radiant. Insider’s Favorite: Personally, my favorite treatment would be our 90-minute Therapeutic Massage. This signature firming and invigoration massage is tailored to your needs using classic techniques to release deep-seated muscular tensions, relieve sensation of tightness, and improve flexibility. The fragrant signature blend of essential oils with Frankincense, Bergamot and Calendula adds a long-lasting soothing scent and leaves the skin deeply nourished. The Spa offers a variety of healing and rejuvenating treatments and therapies. Featured Products: Biologique Recherche, Bioxidea, Omorovicza, and SpaRitual.